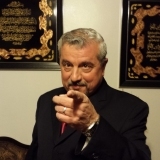 Michael Zeineddine is Owner and Accountant of MZ SERVICES, a tax preparation service representing people with state and nonprofit organization tax related issues. He started the company in 2008. Michael runs the daily operations of payroll, bookkeeping, estate taxes, and tax return preparation and specializes in a broad range of tax strategies for businesses. He was acknowledged by the IRS in Pasadena for his specialized offers in compromise for business related tax issues. He has a Bachelors degree in Pre Law and Political Science from the University of Utah and is a member of the Chamber of Commerce of Pasadena and supporter of St. Jude's Children's Hospital. Michael is passionate about helping people and believes his business reflects this passion. He speaks English, Arabic, and some Spanish.